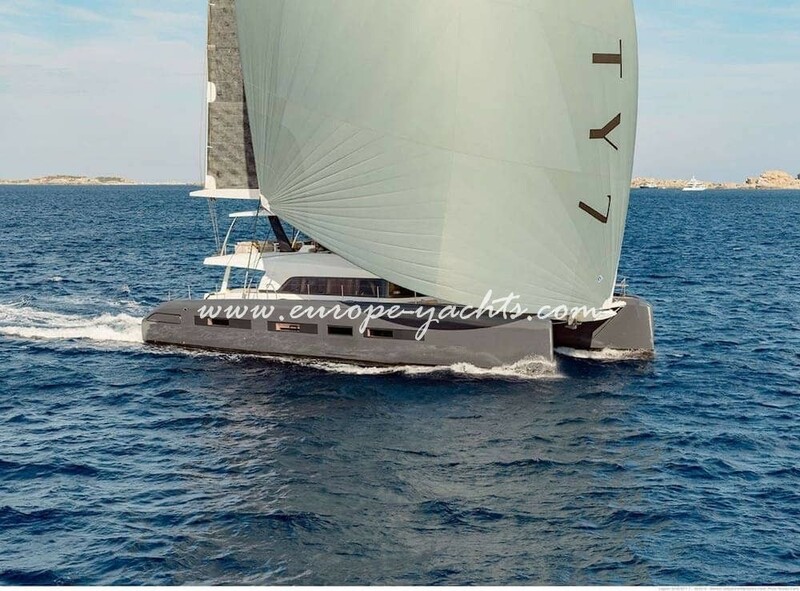 Europe Yachts Charter Group is so delighted to introduce the brand new luxury crewed catamaran Lagoon Seventy 7 that is available for charter with our luxury yacht charter fleet in Croatia from our base in Kastela near Split. 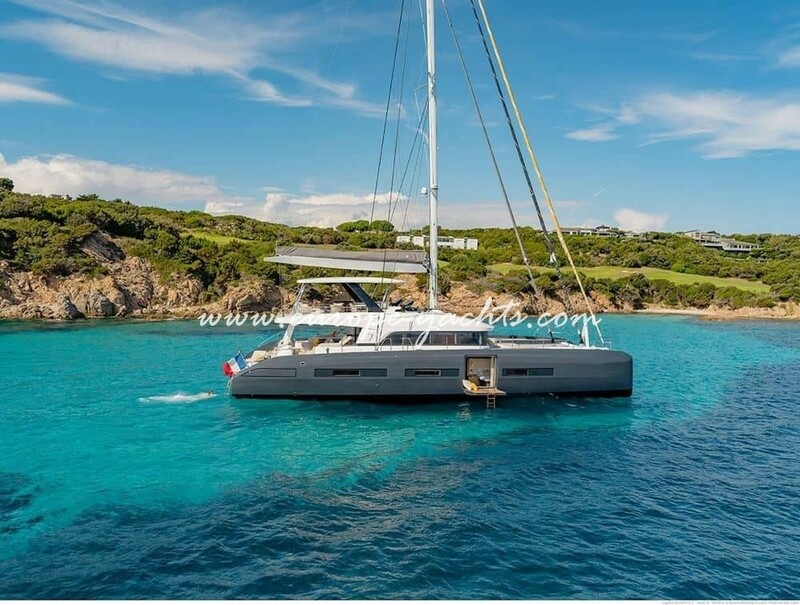 Charter Beneteau Lagoon Seventy 7 catamaran in Croaita and experience the comfort of a luxury yacht on a catamaran. 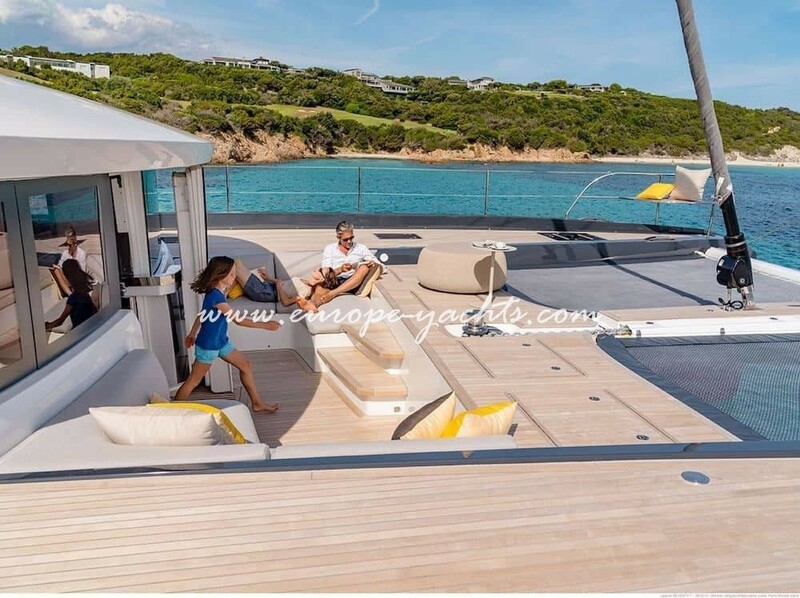 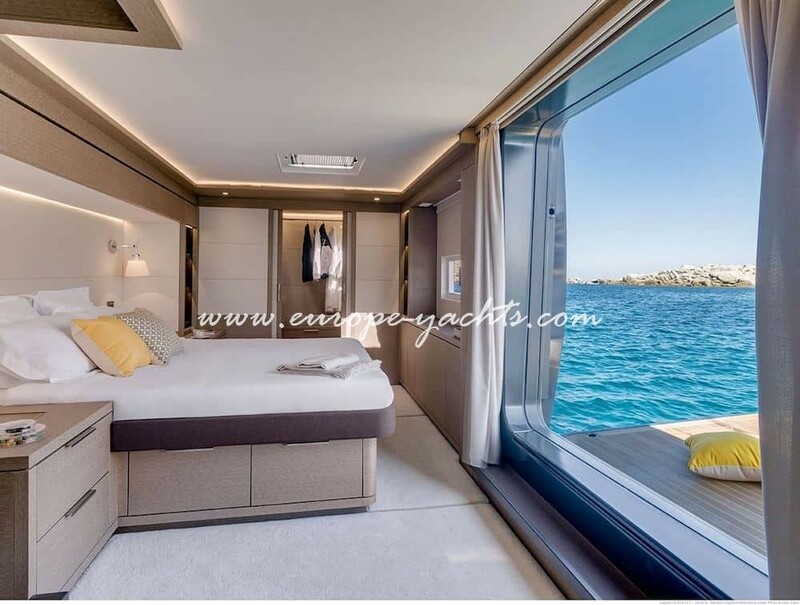 The leitmotiv of the catamaran are the hydraulic folding platforms on the side that your wall transform to a private terrace from your cabin. 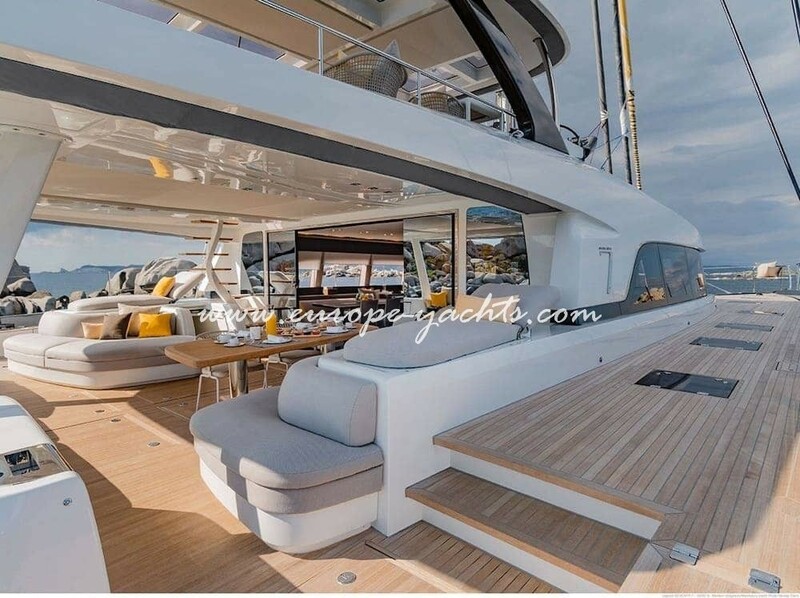 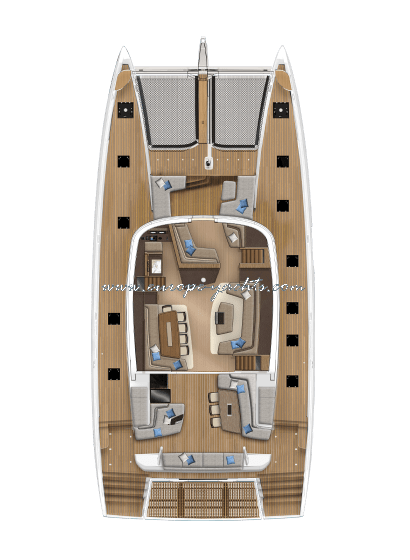 The side decks are wide and dotted with flush-mounted hatches. 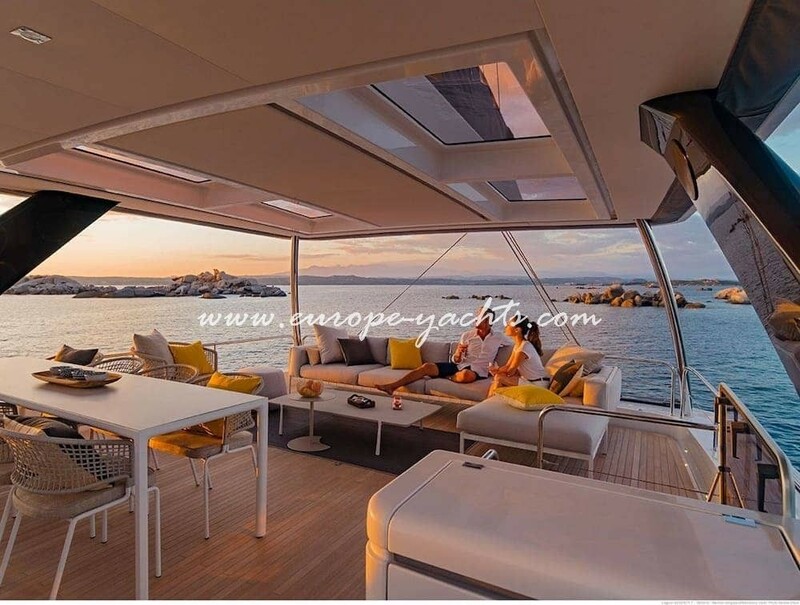 The forward cockpit with two large seats is a amazing place to enjoy relaxing environment with sunset when the boat. 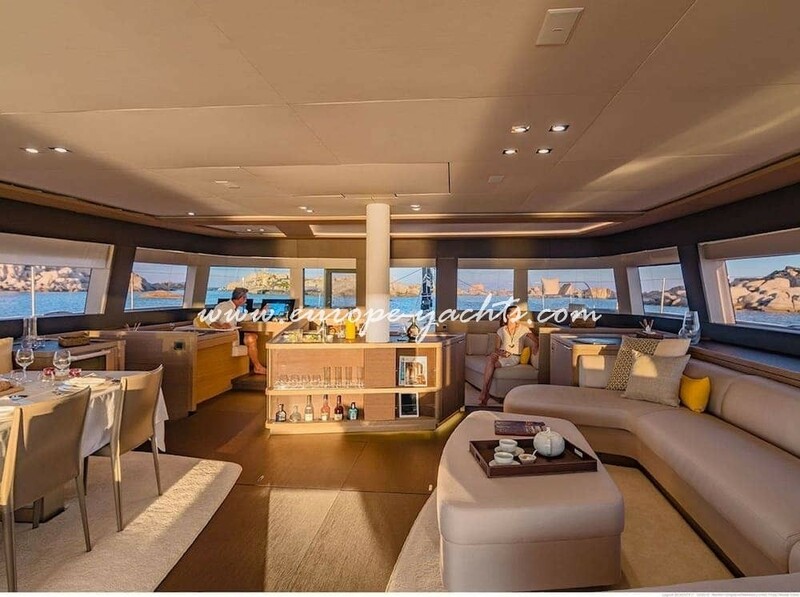 Several steps from the main cockpit is the main deck. 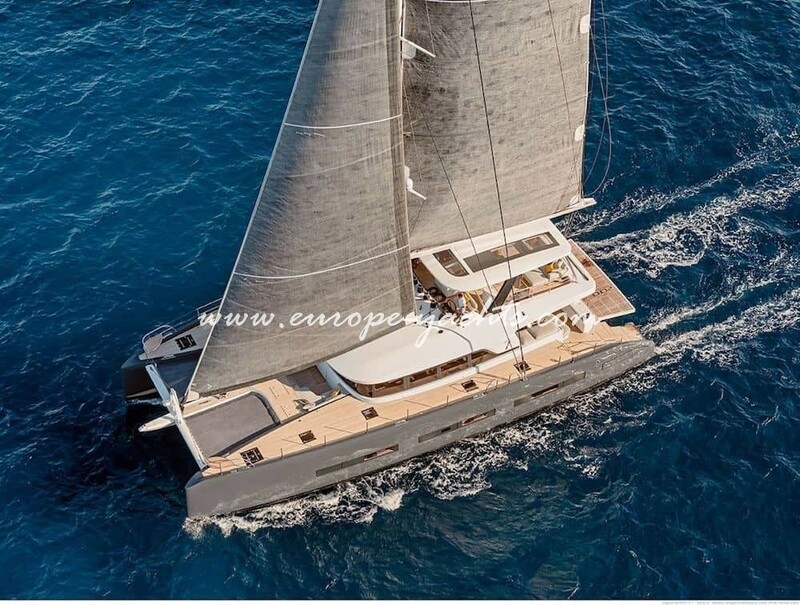 The helm stations are forward and somewhat separate in what could be called the “working cockpit”. 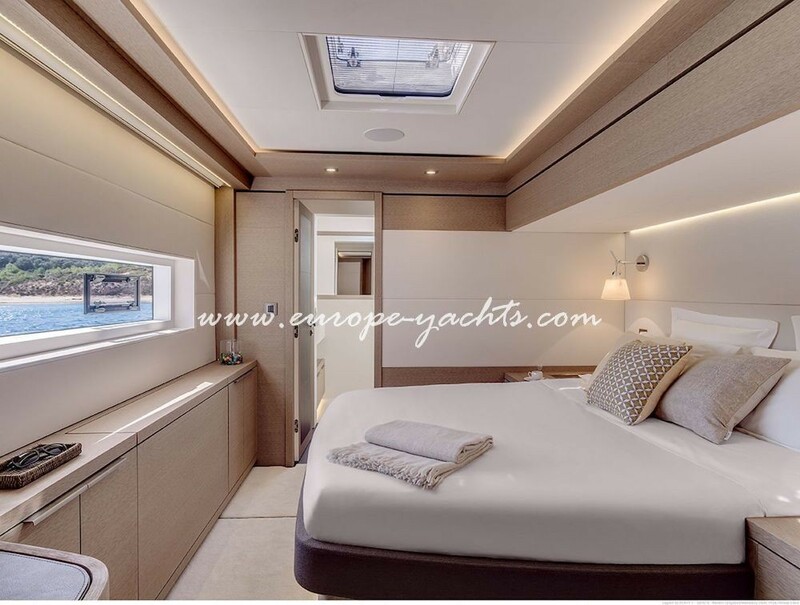 Reminiscent of consoles on superyachts, these wide pods sit just ahead of the front end of the hardtop so the crew can look up at the sails as well as have a commanding view of the bows. 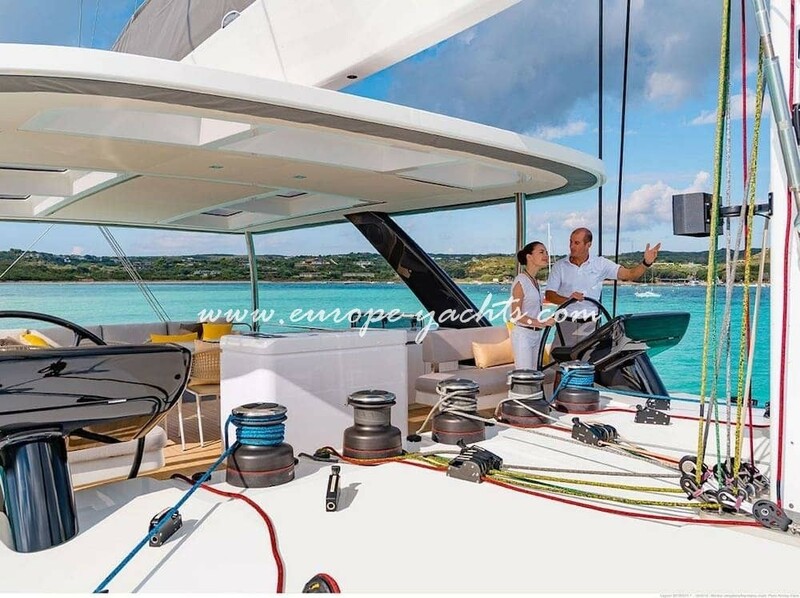 Five Harken winches and multiple arrays of rope clutches manage the control lines, which are led here to the central part of the cabin-house rooftop. 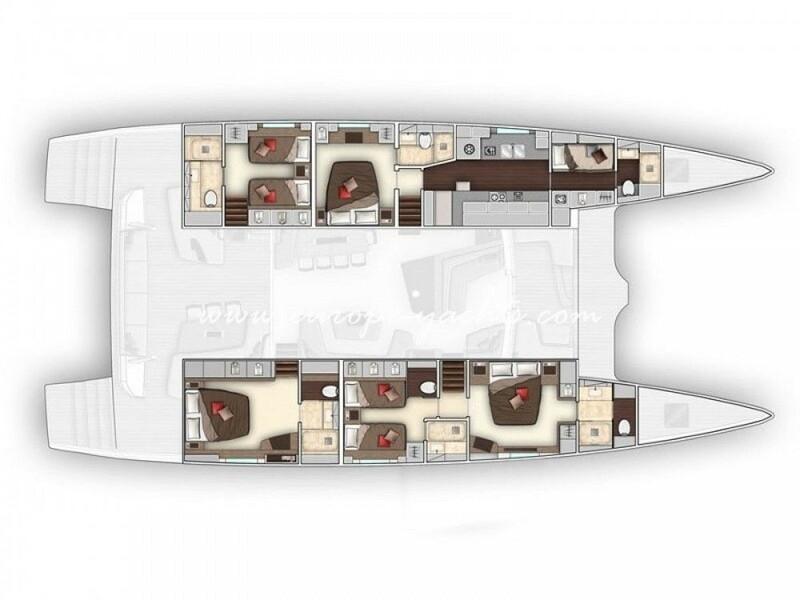 There’s plenty of room for multiple crew to work the lines without ever bumping elbows with the driver. 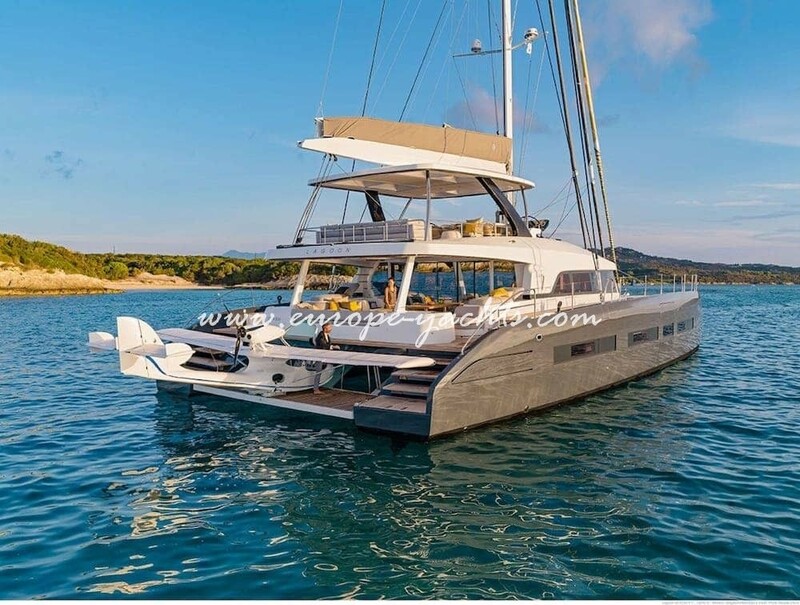 Crewed catamaran Lagoon Seventy 7 for charter in Croaita can accommodate up to 8 guests in 4 luxury large cabins, large bathrooms with every cabins, desk space, wardrobes and large living room. 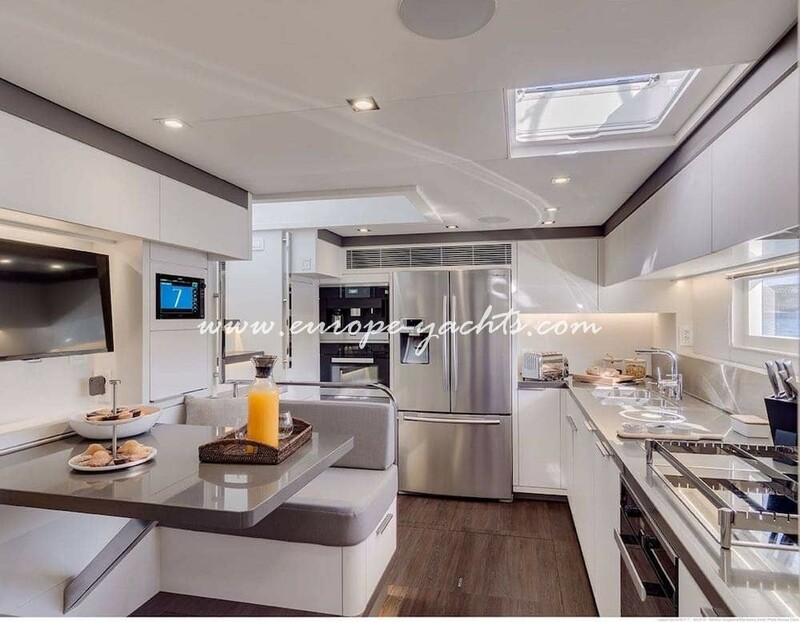 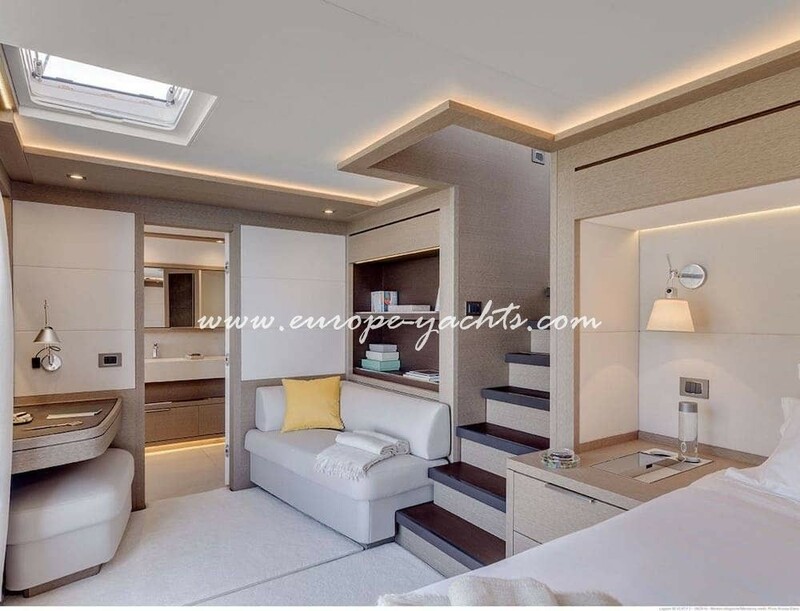 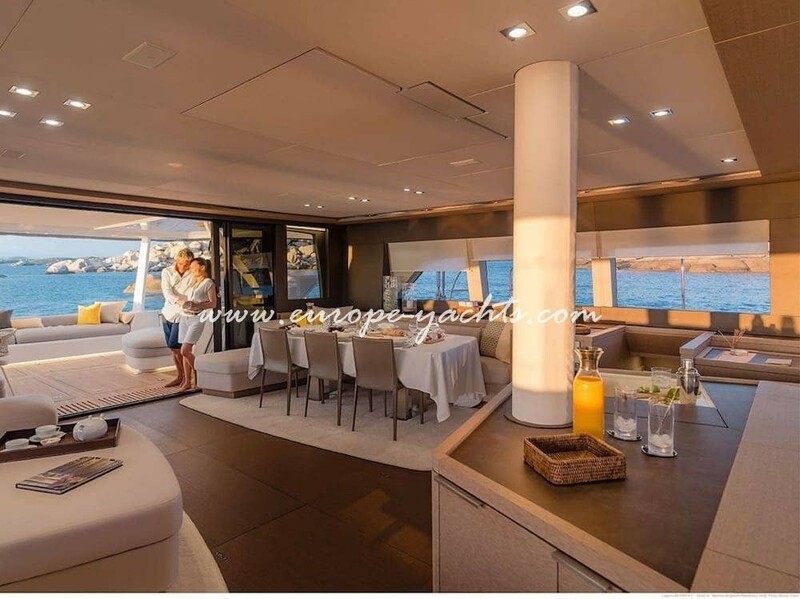 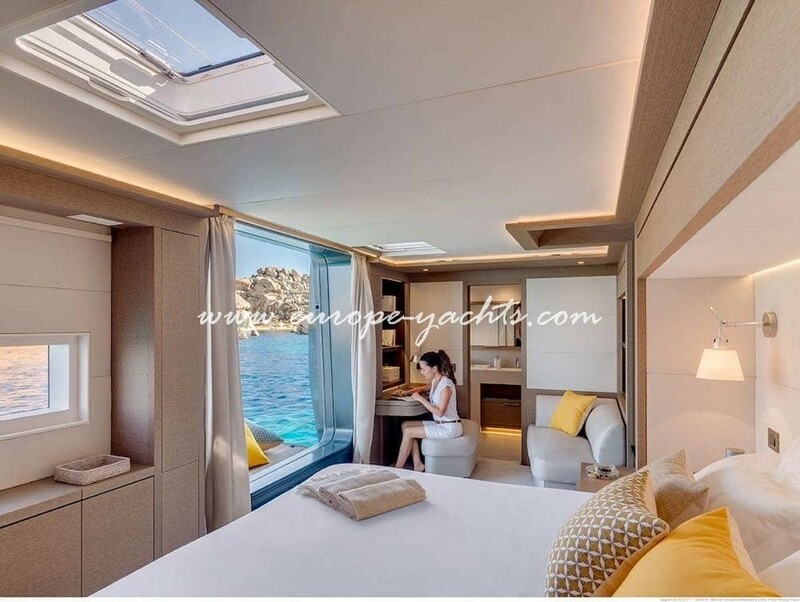 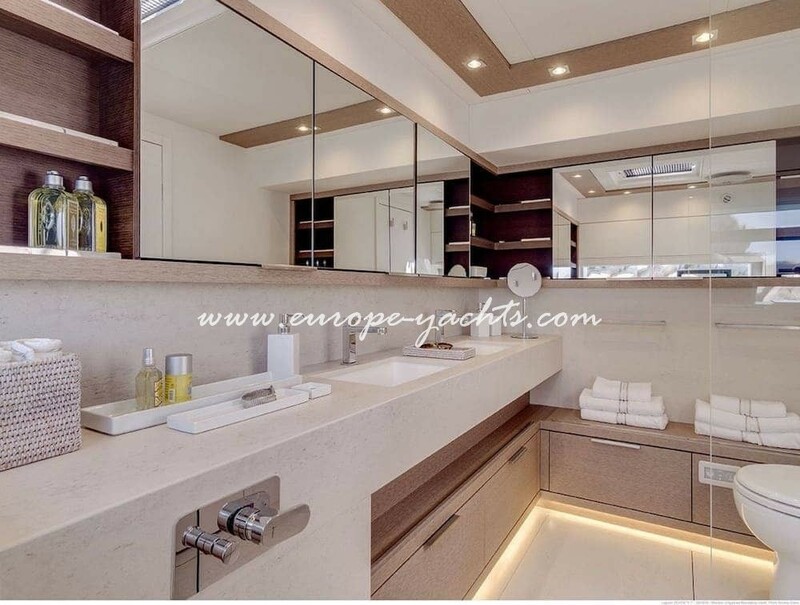 The main master stateroom also offers a direct access to the saloon and also to the main cockpit but also to foredeck that is adding the luxury of this amazing catamaran with the best possible layout for comfort and luxury catamaran charter experience. 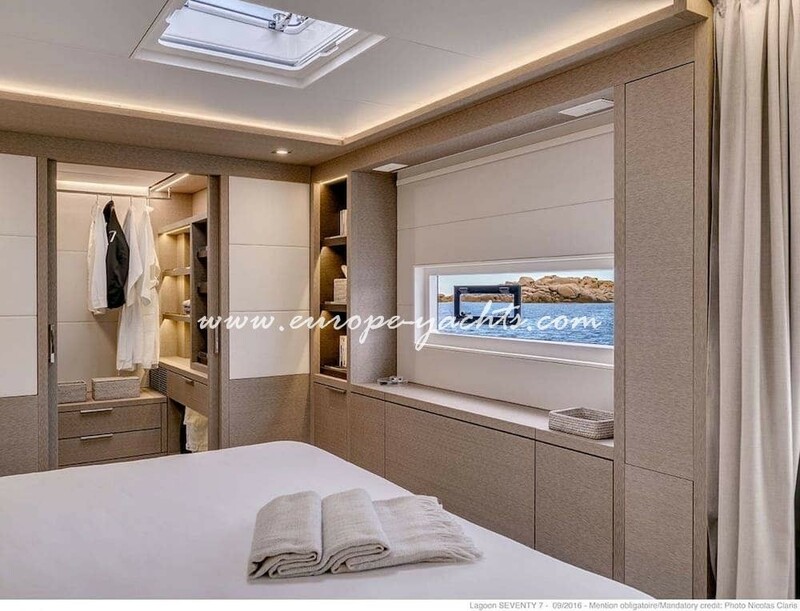 Other cabins includes two luxury VIP cabins as well as a spacious twin cabin featuring own bathrooms and showers. 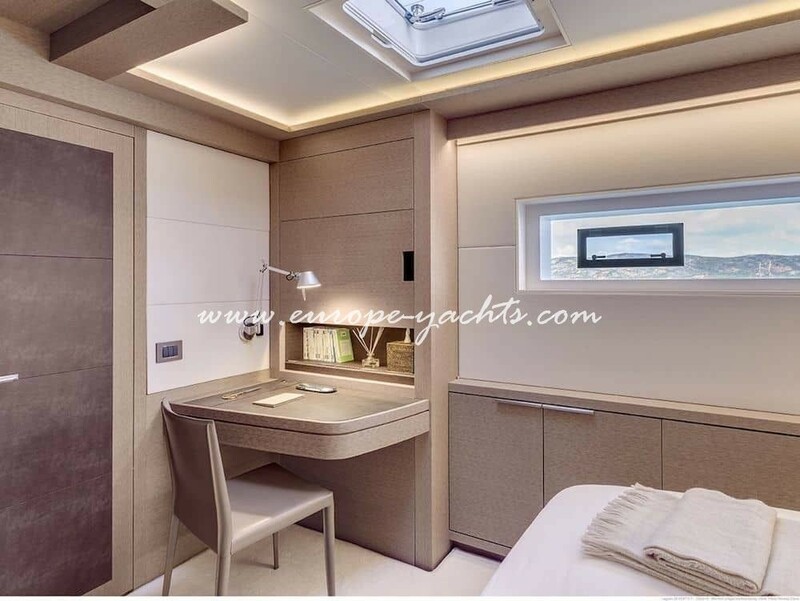 The crew cabins are located in the two bunk bow cabins and they have there own entrance from outside so you have your full privacy. 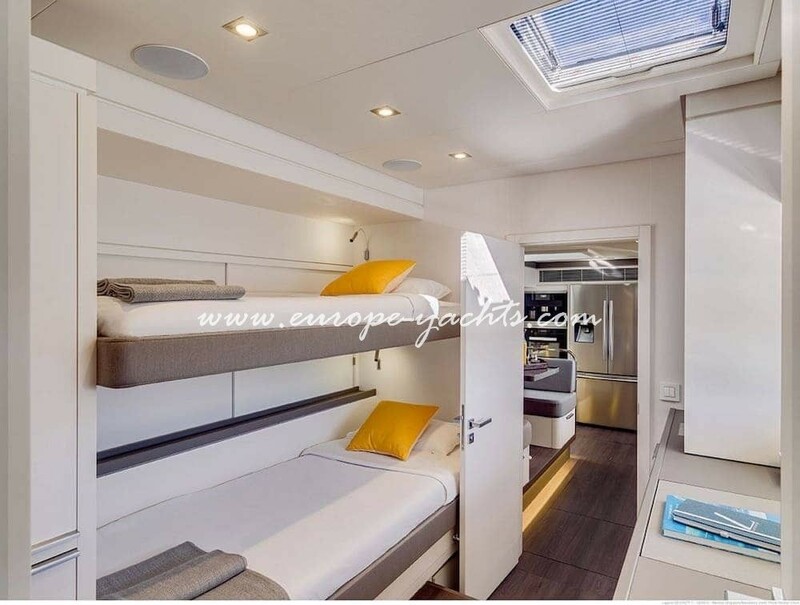 Lagoon Seventy 7 catamaran comes with all features needed for a relaxing 7 or 14 days charter in Croatia like air condition, generator,inverter, water maker, ice maker, Wi-Fi on board, LED-TV, radio CD/MP3-player, cockpit speakers, BBQ grill, swimming platform, stern/cockpit shower, sunbathing cushions, bimini, 220V/12V shore power, dinghy with outboard engine. 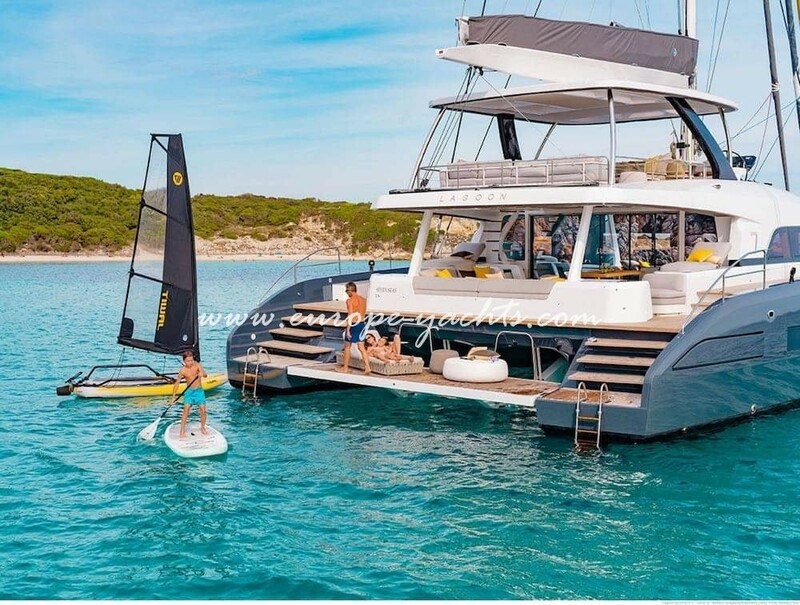 For the kind there are toys like Rib with 40hp/50hp outboard engine, SeaBob F5 Lumix, adult and children water skis, 2 stand-up paddle boards, water tube, 2 sea diving scooters, tower ring and snorkeling gear. 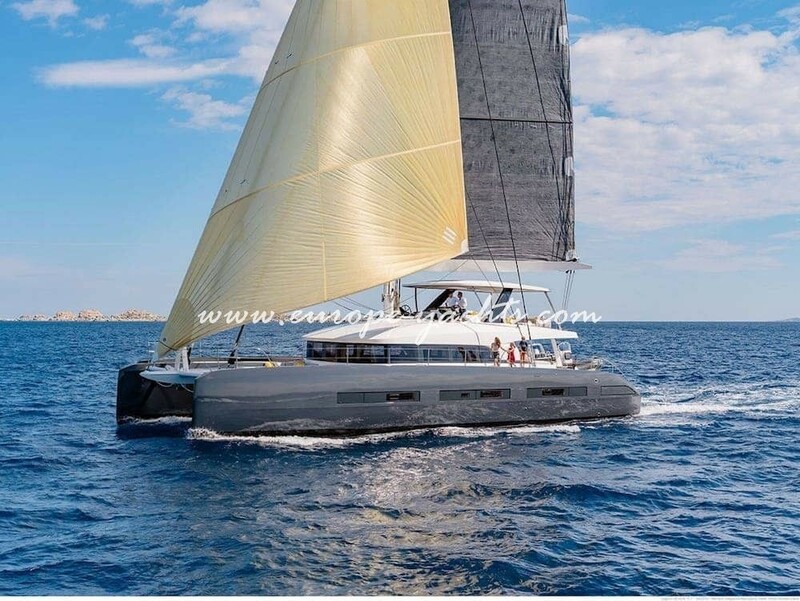 Luxury charter catamaran Seventy 7 is best possible choice if you are looking for luxury sailing experience in Croatia. 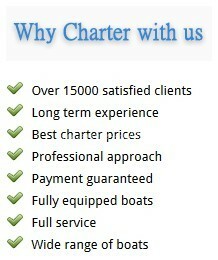 We will make a tailor made itinerary with your preferences and our crew will be there 24/07 to fulfill all your needs. 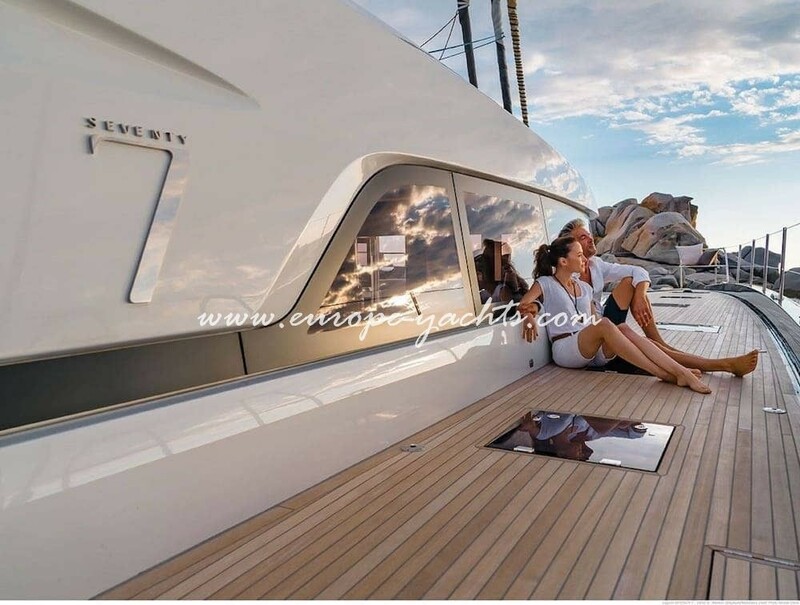 Perfect to entertain families and couples this superyacht is inviting honeymooners and demanding sailors to explore the Adriatic the best possible way. 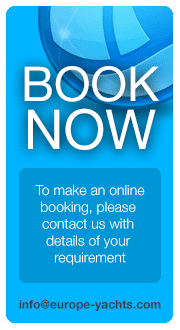 tower ring and snorkeling gear.